Chris Buescher reclaimed his spot as the top underdog yet again this week. Buescher’s 16th-place finish highlighted a rather uneventful Cup race for the have nots on Sunday (March 17) at Auto Club Speedway in Fontana, California. 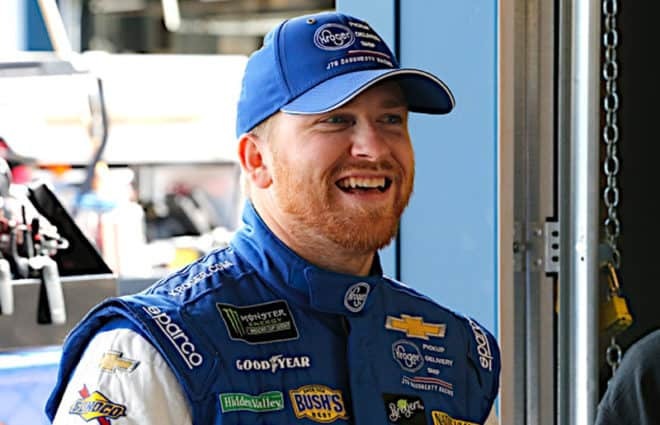 For JTG Daugherty Racing and Buescher, the race mirrored their performance in many of the events thus far in 2019. He started 14th and ran inside the top 20 for nearly the entire race. The No. 37 has now finished on the lead lap in four consecutive races. Things could get even better for Buescher and company next week at Martinsville Speedway, which is historically one of JTG’s best tracks. The Monster Energy NASCAR Cup Series underdogs had a tough go of it on Sunday, primarily because most of the top teams steered clear of trouble. Clint Bowyer‘s overheated Stewart-Haas Racing Ford was the lone car in the garage before the checkered flag waved. Every other winning team over the past year was 19th or better in the final rundown. That left Matt DiBenedetto as the only other underdog to earn a top 20 finish in the race on Sunday. DiBenedetto has been solid in 2019 so it may come as a surprise that his 18th-place finish this weekend was actually his first top 20 of the season. Additionally, it marked the first time “DiBurrito” has ended the race on the lead lap in 2019. On Saturday (March 16), the “other” teams had a lot more to cheer about. The Rod Seig owned No. 39 of Ryan Seig once again led the underdog charge in the Xfinity Series race. Seig finished 11th, continuing his streak of being best in class in every start this season. Jeremy Clements had a good day as well, finishing 14th. The solid effort has him adding yet another race to his streak of the No. 51 car starting and finishing in the top 20 in each of the past four races. Brandon Brown notched a second straight 15th-place finish for his family-owned team, and it was another momentum building day for the SS-Greenlight Racing teammates. Ray Black Jr and Gray Gaulding continue as the dynamic duo, with Gaulding placing 16th and Black 17th at the checkered flag. It marked the third straight week both drivers finished in the top 20. Another pair of teammates at JD Motorsports, Ross Chastain and Garrett Smithley, occupied the 18th and 19th spots at the conclusion of Saturday’s race. Last but not least, earning his first top-20 finish since Iowa Speedway last year, was part time racer Tommy Joe Martins. Garrett Smithley begins his fourth year running in the NASCAR Xfinity Series full time in 2019. The 26-year-old has 105 starts in the series as of last weekend, including four top-10 finishes. He got his first top five at Daytona in February of 2018 and as his JD Motorsports team continues to improve, so do Smithley’s results. Smithley also made his fifth career Monster Energy NASCAR Cup Series start on Sunday at Auto Club Speedway. While the third 36th-place finish of his young career wasn’t really what he or the team was hoping for, he did bring the car to the finish in one piece. More often than not, that’s the most important part of the arrangement. Smithley began his racing career back in 2007 racing Bandoleros in central Georgia, winning rookie of the year the following season. In addition to his Xfinity and Cup experience, Smithley has also run a handful of events in both ARCA and the NASCAR Gander Outdoors Truck Series.